If players chose to walk away when they finally confront Joseph Seed at his chapel, a lot of the story is left unresolved. Although the protagonist, Sheriff Whitehorse, and the other deputies seemingly escape, the rest of the game’s companions and characters are left under Joseph’s control. Furthermore, the ending cuts as the song “Only You” begins on the radio – implying that the dormant mental programming put into the protagonist’s head by Jacob Seed was about to be activated. The implication then is that protagonist could be forced to murder the other characters in the car. If the “Walk Away” ending is canon, then there is perhaps some potential for more story DLC. The protagonist is still alive, after all, while most of their allies are drugged and captured. 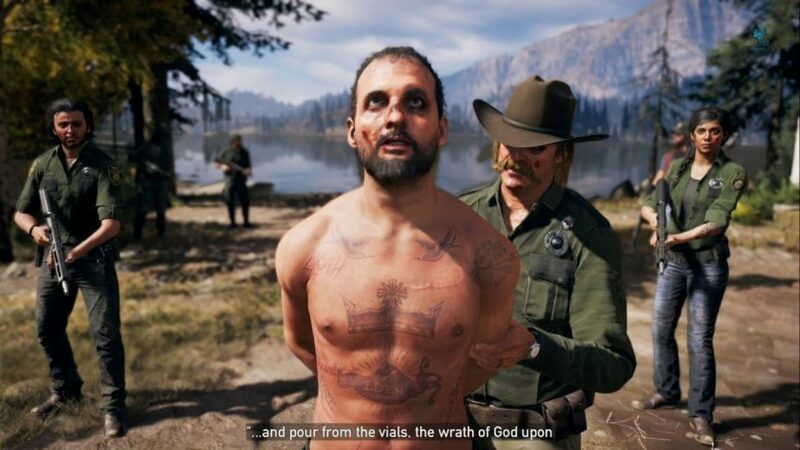 Joseph Seed is still alive too, and although his lieutenants are dead, the cult still holds parts of Hope County. Ultimately, this ending would be unlikely to have much of an effect outside Hope County. If Ubisoft didn’t intentionally return to the story, other unrelated Far Cry games probably wouldn’t be affected. This is the big one. 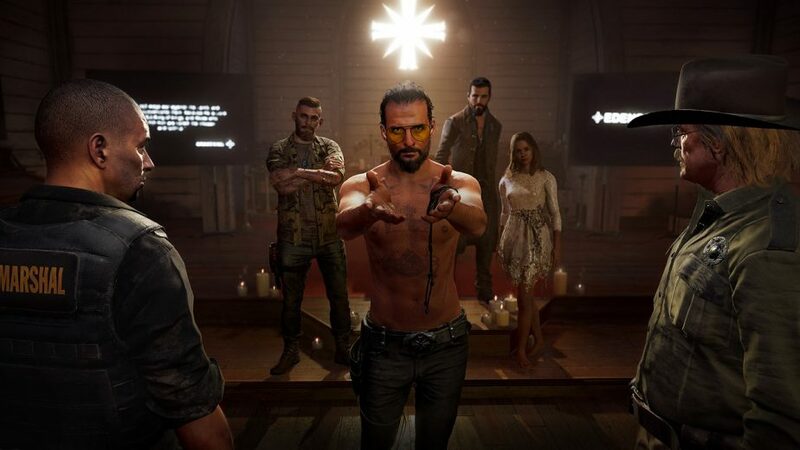 If the players choose to resist Joseph Seed, they engage in a protracted boss battle against the preacher and their drugged allies. Eventually, Seed is captured, moments before a nuclear bomb detonates on the horizon. 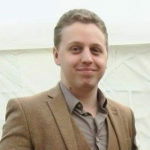 What follows is a frantic dash to an underground bunker, which ends with the protagonist tied to a chair, captured by Joseph Seed. This ending caught many players by surprise. If you’re very perceptive, you can hear clues to the event throughout the game through news broadcasts on car radios and the like, but these were few and far between. Ultimately, it seems to validate many of Seed’s seemingly insane predictions, and leaves the protagonist at his mercy. If this ending is canon, then there could be huge ramifications for the Far Cry series. What appeared to happen was a nuclear attack on the United States, which strongly suggests the possibility of a global nuclear war. Thus far, the best known Far Cry titles have all been confirmed to occur in the same universe. Indeed, the character of Hurk has appeared in Far Cry 3, 4, and 5. Unless Ubisoft went back in time with Far Cry 6 (which is a possibility), the next game could be set in a post-apocalyptic wasteland. The studio has visited the past before, of course; both with Far Cry Primal, and the recent Hours of Darkness DLC. It’s possible that the studio could so something similar for Far Cry 6. However, if they don’t, then the next Far Cry game could be very different indeed. A lot about the “Resist” ending is unclear. As a result, some fans have conjectured that it didn’t really happen. Or at least, it didn’t happen exactly as it appeared to. 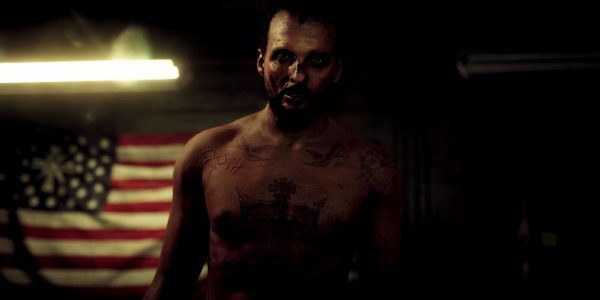 Throughout Far Cry 5, the protagonist is subject to hallucination-inducing drugs and conditioning; the “Bliss” in Faith Seed’s region, and Jacob Seed’s brainwashing. As such, it’s certainly possible that they were still hallucinating at the end, and no nuclear bomb fell. While this could potentially help frame a story DLC, it seems like a poor option for an unrelated sequel. 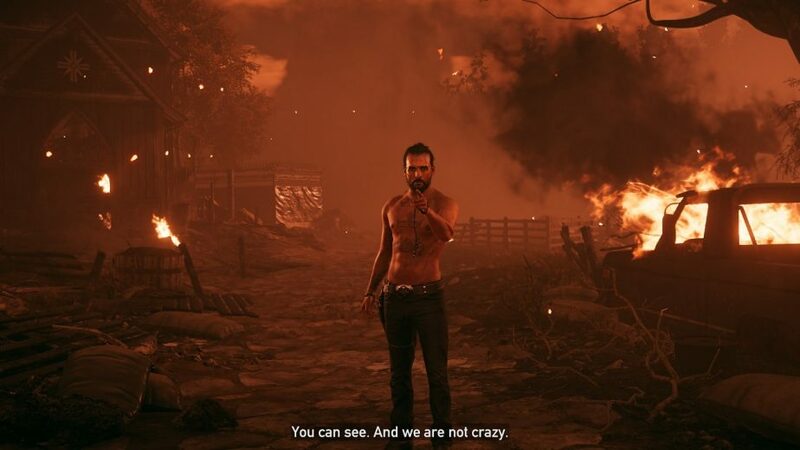 If Far Cry 6 was announced, and it was revealed that the nuclear apocalypse was “just a dream,” fans would be rightly unhappy. That’s a very old and clichéd trope. 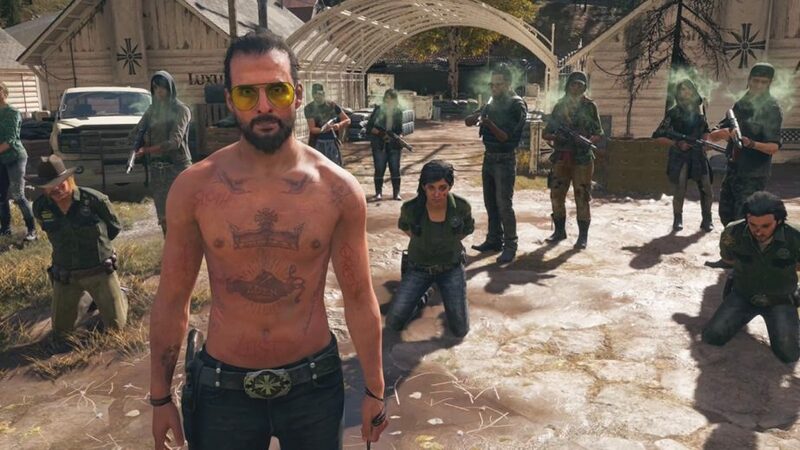 It remains to be seen what Ubisoft’s plans are for the future of the Far Cry series; whether they plan to go straight into a Far Cry 6, or produce more story DLC for Far Cry 5. Either way, the studio will eventually have to address the canon of Far Cry 5’s endings. Here’s hoping they take the bold stance of making the “Resist” ending canon, so that fans can get to experience a post-apocalyptic Far Cry 6!